Crochet Master Class presents 18 crochet techniques taught by some of the world’s best crochet designers and instructors. 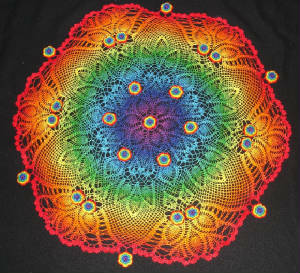 Each chapter focuses on a different technique, inviting you to dip in, experiment, and then apply your newfound skills to create a custom piece designed by these crochet luminaries. You’ll learn Painted Crochet from Ferosa Harold, Hairpin Lace from Stitch Diva Jennifer Hansen, discover the intricate color work of tapestry crochet from Carol Ventura, and explore free-form crochet with renowned fiber artist Prudence Mapstone. 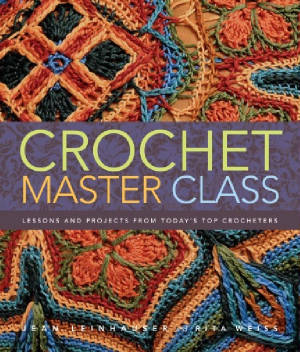 Filled with expert instruction, inspiring stories, and projects created exclusively for this book, Crochet Master Class is your guide to the incredible range of crochet possibilities. © Copyrights 2003-2014 Ferosah Crochet Design Studio. All rights reserved.